President Donald Trump said Wednesday he would continue to campaign for Republicans in the mid-terms, arguing that his appearances made Democrats less likely to vote. 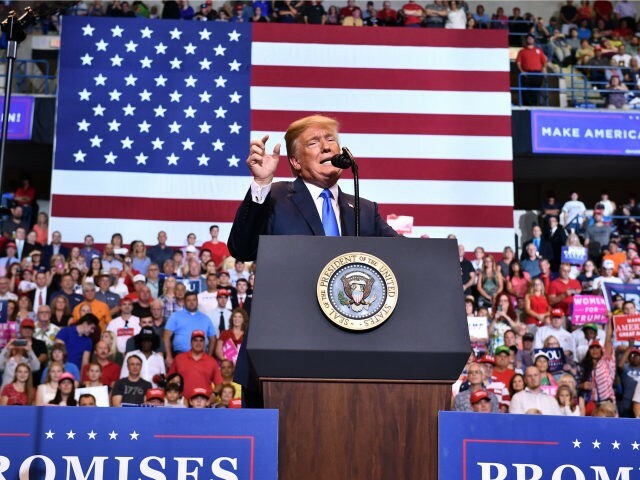 The president has campaigned in over a dozen different places in 2018 and hosted several fundraisers for the Republican party. He estimated that he would make about 50 different political appearances and that the Republican party would do well in the midterms. The president bragged that his social media endorsements were uniquely powerful in the midterms. “It’s unbelievable,” he said. “So the tweet normally will do it. Lot of these people picked up 30, 40 points just by the fact that I endorsed,” he said.